How much does your company know about who visits your website? Do you know where they came from? What browser are they using? Which pages are the most popular on your site? And how long do visitors' stay for? These are fundamental questions that all online business should know the answer to. If your business doesn't have the answers to these basic questions, then you need to start using web analytics. This won't necessarily mean spending large amounts of money on professional systems, or devoting long periods of time deciphering impenetrable statics. There are many free services available and quite often you may get access to a web analytics for free with your web hosting, but most are fairly basic in what they return, however one of the most sophisticated analytic solutions available is Google Analytics, and it's completely free – there is a Google Analytics Premium service for very high-traffic sites but the majority of businesses will use the free service. Visitors' overview. This will give you a clear picture of the traffic your website has been receiving over time. You can easily see where the peaks and troughs are. Unique visitors. This is an important piece of data, as it shows you how many visitors your site has received minus any repeat visitors. This number is the one to pay attention to when tracking how popular your site is becoming. Bounce rate. If visitors come to your site and immediately leave, this could indicate they are not finding the content they are looking for. Changing the landing page, page design, or refreshing content can all improve your website's bounce rate. New visits. As its name suggests, these are first time visitors. If you are trying an AdWords campaign, or have made some connections with other sites to drive traffic to your site, this number should increase over time. Pages/Visits. This is an important figure to see rise, as it usually indicates that visitors are coming to your site and staying. This should mean the content on your site is engaging. Keyword searches. If your business uses general searching to attract its visitors, this report will show you which keywords were used to find which pages on your site. This information is perfect to improve the click through rates of any AdWords campaigns your business is using. Content overview. As content is still king online, this report shows you precisely how well your content is performing. Did your last blog post generate the traffic you had hoped? This report will tell you. These are just some of the headline statistics that your business can use to see how well its website is performing. The real power of Google Analytics is the ability to customise your statistics to match precisely the information you want to know about your site. One of the most powerful features of Google Analytics is Goals. A Goal can be anything you want to specifically track on your website. Perhaps you have just put a new email contact page on your site. You can set-up a Goal to see how effective that new page is. You can see if for instance more Firefox users use the page than Internet Explorer users. How your business drives traffic to its website is also important to clearly understand especially if you are investing substantial amounts of money with inbound ad campaigns. Google Analytics has a campaigns feature that allows you to build into URLs tracking codes so you can see how effective – or not – each of your campaigns has been over time. Many of your site's visitors won't come to your site and see its homepage. If they saw one of your ad campaigns, or just searched for something and one of the pages on your site was returned on their search results page, Google Analytics can show you which pages were visited, but more importantly, how long someone stayed. This is critical information as you can see how effective not only was your campaign at driving traffic to your site, but if the page your campaign linked to was interesting enough to hold those visitors, who hopefully will also have bought your products or services. And Google Analytics can also give your business insights into how its social media activity is performing. Google Analytics now has Google +1 and Facebook Like tracking. The social engagement reports can show your business the number of visitors that clicked on these social media buttons, and also compare the number of clicks on specific pages. You can then also use the social traffic sources report to see if visitors are coming from your business' social media sites. Advanced segmentation. Most of the general reports you can see look at all visitors. Drilling down into the data to look at specific segments of your site's audience is essential to gain more insight into their behaviour. Integrate AdWords. As many businesses will be using AdWords to drive traffic to their websites, it makes sense to include this in your reports. Choose sources from the main dashboard page to start seeing how effective your campaigns really are. In-page analysis. It's all well and good seeing which pages are the most popular, but what about the individual components of a page? If you have new graphics on a page, are they delivering the uplift in visitor numbers you had hoped for? Exit pages. Look at the exit page statistic to see if there is a particular page on your site that is often the last one a visitor sees before clicking away from your site. This page could have content that is particularly unappealing and should be fixed as soon as possible. Intelligence reports. 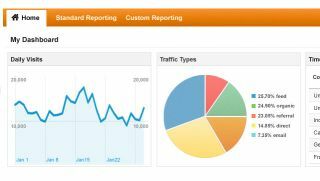 It can be time consuming to keep logging onto your Google Analytics account, so why not let Google Analytics send you a report of your site's stats? The key with Google Analytics is to not only track the general trends across your online business, but also look closely at specific data. This information is worth its weight in gold when you are looking at how your site can be improved. After all, if you can attract and keep more visitors, they are more likely to buy your business' goods or services. Google Analytics gives your business the tools it needs to vastly improve how its website, social media and promotional campaigns perform.